India's indigenous supersonic fighter jet Tejas will for the first time participate in aerial displays during the five-day Langkawi International Maritime and Aerospace Exhibition (LIMA) in Malaysia. India has been projecting the Tejas aircraft in a big way as it has been manufactured indigenously at the Hindustan Aeronautics Limited (HAL) and designed by the Aeronautical Development Agency (ADA) for the Indian Air Force and the Indian Navy. The Indian Air Force will participate in the Maritime Aero Expo for the first time, during which it will showcase its indigenously-developed light combat aircraft Tejas. 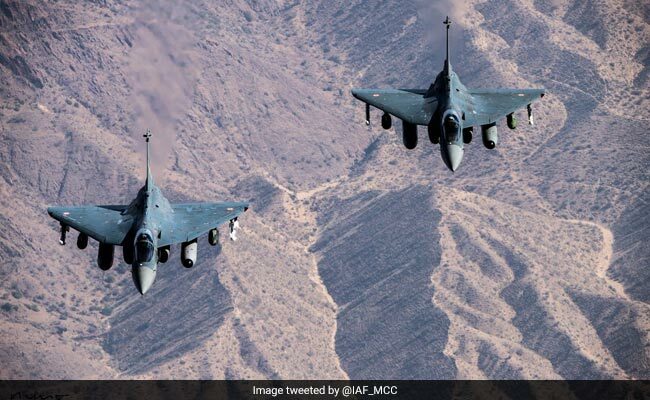 "India's indigenous supersonic Light Combat Aircraft(LCA)-Tejas & the world's lightest supersonic fighter which has already joined IAF, is for the 1st time taking part in aerial displays during 05 day Langkawi International Maritime & Aerospace Exhibition," the IAF said on its official Twitter handle. "Today was the final practice session before the opening display for LIMA 2019, commencing 26th March 2019. IAF's Tejas (LCA) during the practice session today at Langkawi International Airport, Malaysia," the IAF tweeted. The IAF also posted pictures and a video of the Tejas aircraft practicing. The Langkawi International Maritime Aero Expo (LIMA-2019) is planned in Langkawi, Malaysia from March 26 to March 30, which will provide an opportunity to the IAF air-warriors to interact with their Royal Malaysian Air Force (RMAF) counterparts and foster close relationship between the two services. This will serve as a foundation for any future interaction with the Malaysian Air Force. It will also provide an opportunity to RMAF to assess the capabilities of LCA, an official statement said.